Romany went above and beyond to help me out. Being a single mom, that courtesy went a really long way. Thank you so much! The people who helped me were very nice. My situation was extremely stressful and they all kept me calm and cool. Great experience glad you are close to my home. It was a great experience and my air conditioning is working well as a result of the work I had done. Thank you! Thanks everyone and see you on Friday January 9th to put my beetle wrap on at 7 am. You will be my VW dealership from now on. Thanks for the great service. Great Job by all I had contact with, keep up the good work, don't ever lose that friendliness and professional you have with your customers. 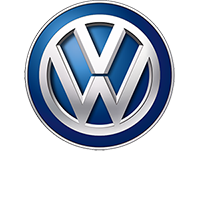 That is what separates Napleton's VW Dealership from the other guys of the Central Florida region!!! That's why I drive the 45 minutes and bypass two other conveniently close VW Dealerships. Love our dealership. Ours, because we are now in the family! Andrew was very helpful as a service representative. Andy was so nice. He took the time to find customers to tell them the status of their car. Andrew is incredible and an asset to your team! This is the best dealership to have your vehicle serviced!